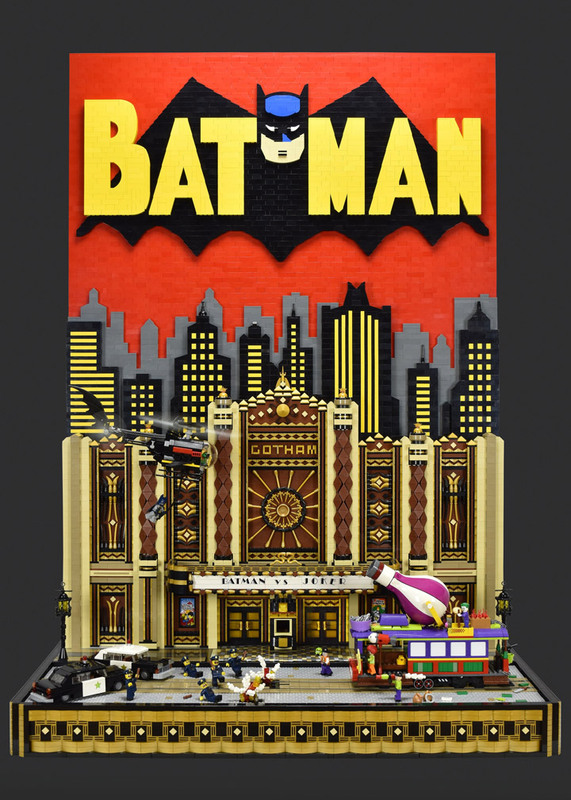 Paul Hetherington has created one of the most beautiful Lego Art Deco style buildings. 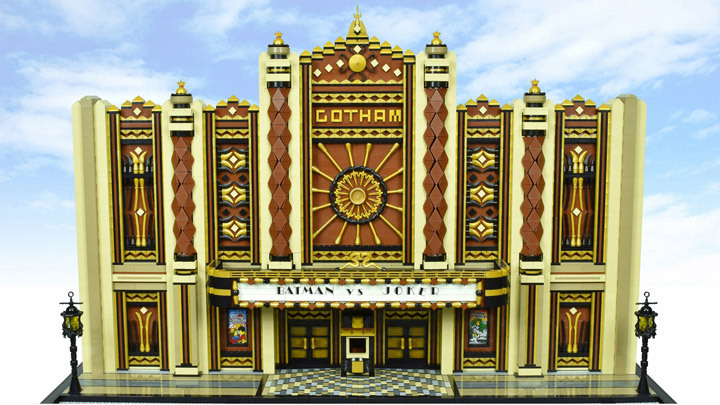 The Gotham Theater was originally inspired by Marbro Theater of Chicago (sadly torn down in 1964). This build features a limited palette of beige, brown, black, and gold detailing. Check out all of the unique patterns and textures on the facade. 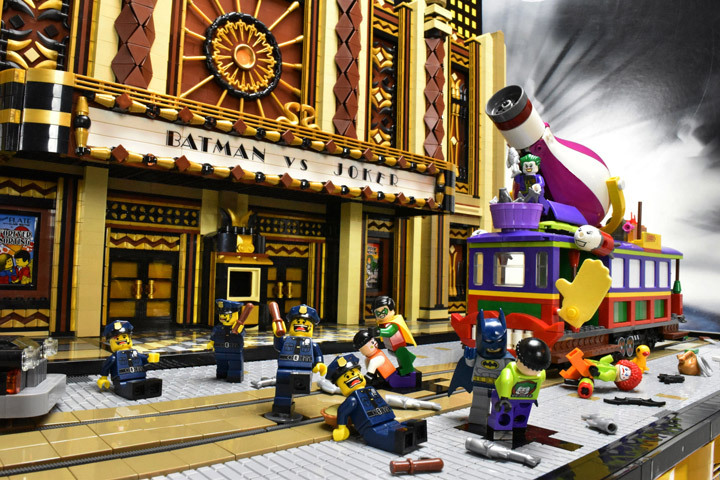 The Lego Batman vs Joker Gotham Theater Showdown has a secret. Power functions have been built into the scene and carefully hidden. The street car moves back and forth. The Joker is moving/aiming the balloon cannon up and down. The cops are all laughing out of control, spinning and falling down. And the Batcopter is hovering/twirling in place amid all this chaos. 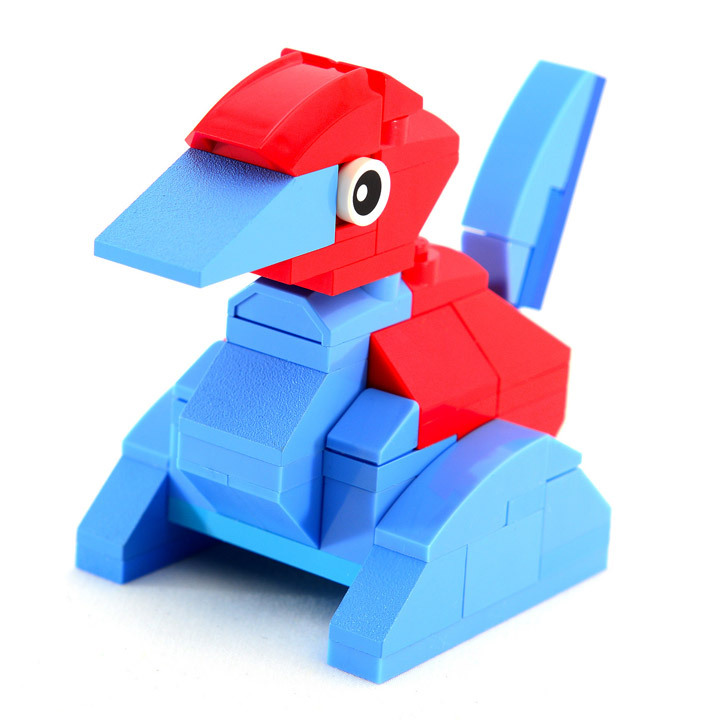 Lego Porygon used Seizure! It’s super effective! Pokemon have some of the most interesting creatures. Here we have an anthropomorphic rock fighting an enemy that is completely made up of programming code. Geodude versus Porygon. Porygon is one of those really weird Pokemon, it just doesn’t fit into the game like the others do. Although there are swords, hearts and keychain looking Pokemon, so maybe it fits in just fine. These two creatures are the creation of Julius von Brunk. Geodude makes good use of sphere building techniques, and by using the printed spiral pieces for eyes, ends up having a lot of personality. Then there is Porygon. Maybe the best candidate for Lego. The simple polygon look is easy enough to replicate, and this version is looking good. Did you know Porygon is also the world’s first artificially created Pokémon? Now you do! 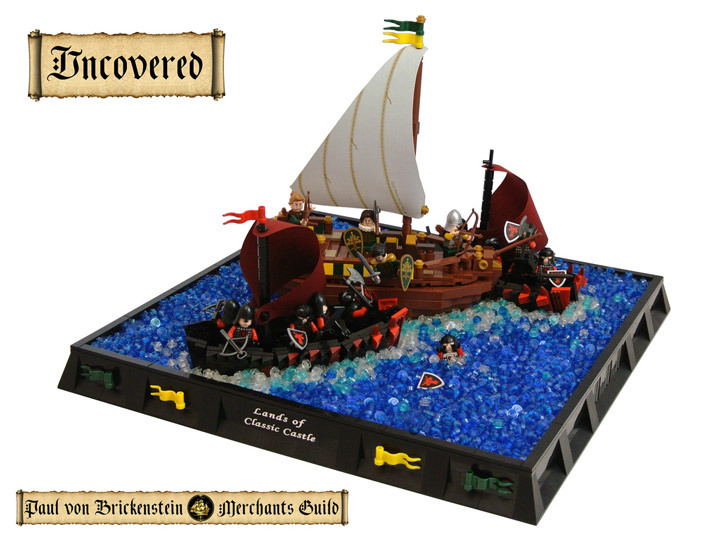 Lego has inspired many great MOCs. There are a few themes (Classic Space, Classic Castle, Star Wars, Middle Earth, Harry Potter, City) that have communities devoted to them. One of the most active communities is for the Classic Castle theme. 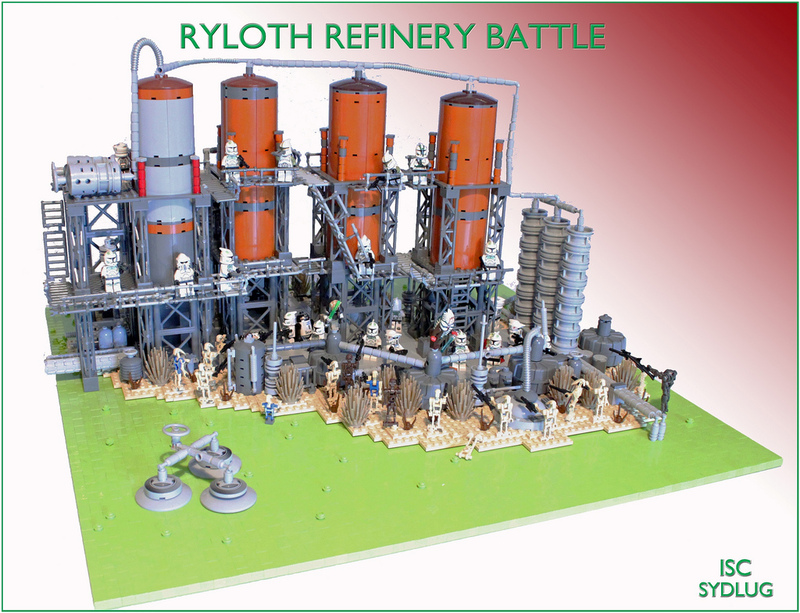 Many Lego creations are created for this theme every day. One such place fans gather is at Classic-Castle. Over there is a unique fantasy world under development called the Lands of Classic Castle. An extremely detailed story and setting are being created piece by piece. The newest entry into the series is title “Uncovered” and is the creation of Disco86. Documenting an intense sea battle with Paul von Brickenstein. 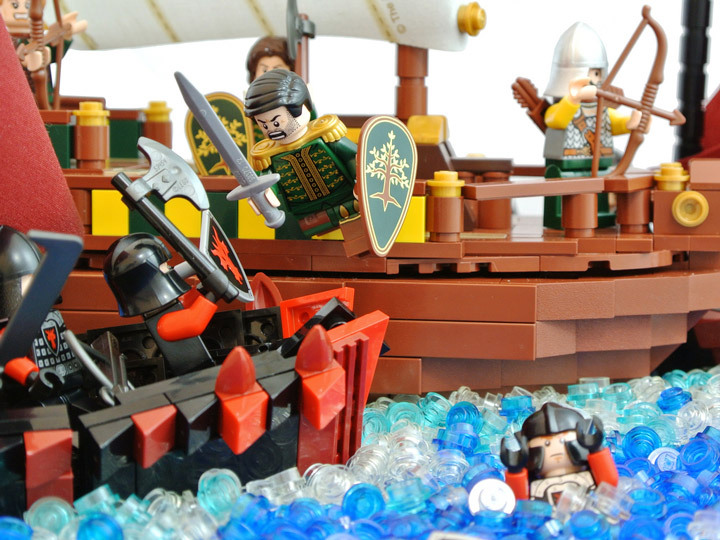 These castle theme Lego MOCs are usually extremely well done. Uncovered is no exception. 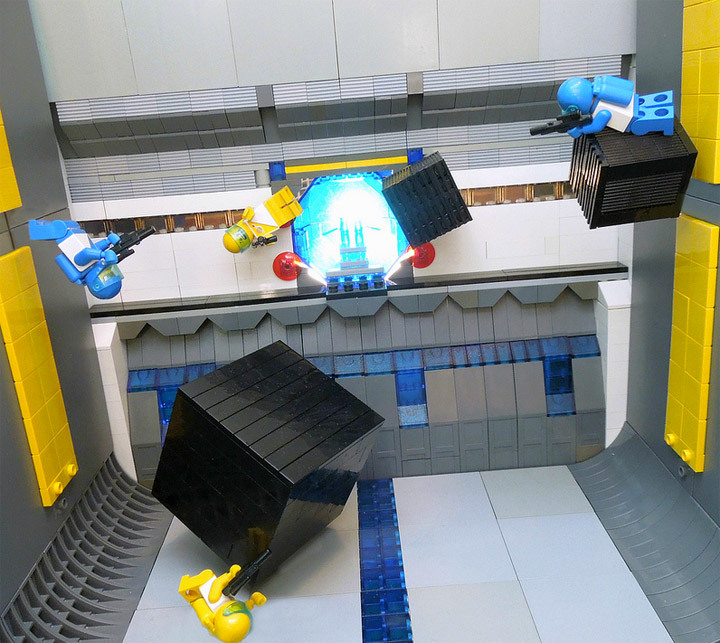 With a relatively focused scene, every brick lends itself to the action. Some great Minifigures and photography are on display. The man overboard and the jumping attack are two great details. Also on display is the increasing trend of building amazing display frames. 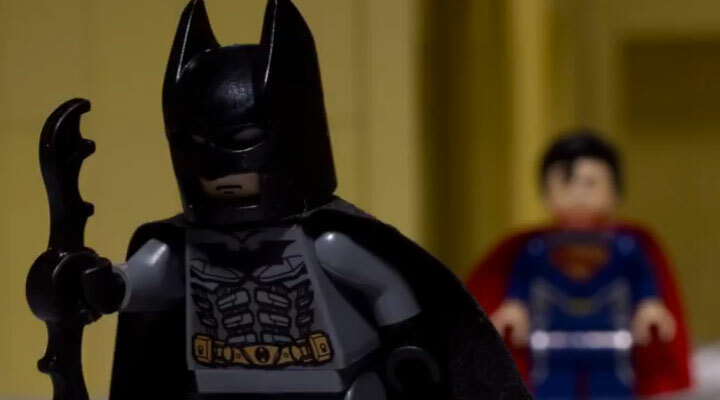 Lego Batman vs. Lego Superman, Fight! Who would win in an epic Batman vs. Superman battle? Some people have spent a whole lot of time thinking about this this possibility. 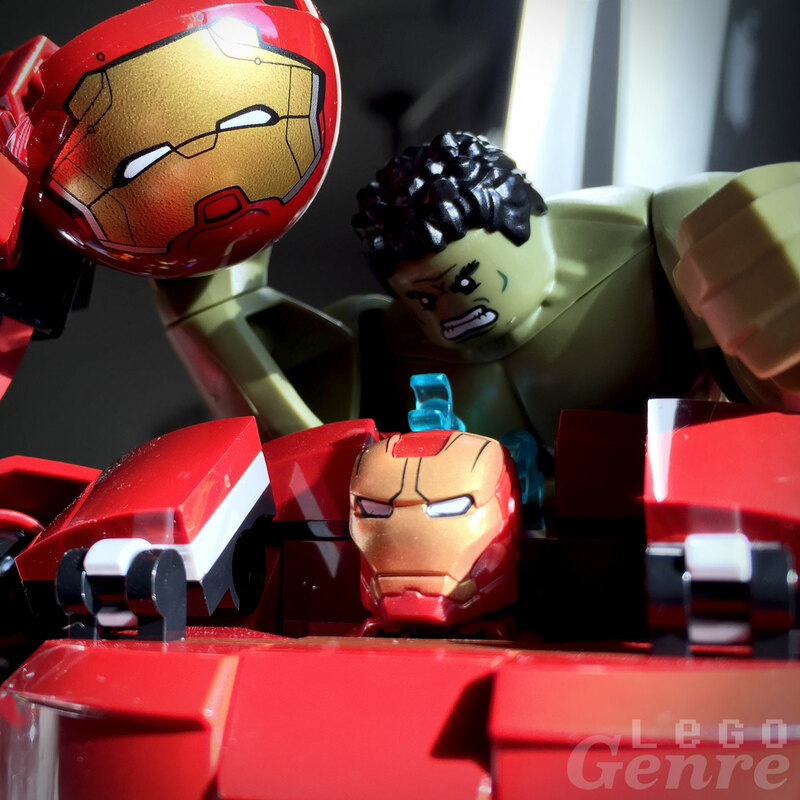 Keshen8 believes that a fight between these two superheroes could only end in one way. The animation and special effects are extremely well done, with the stop-motion being especially smooth. 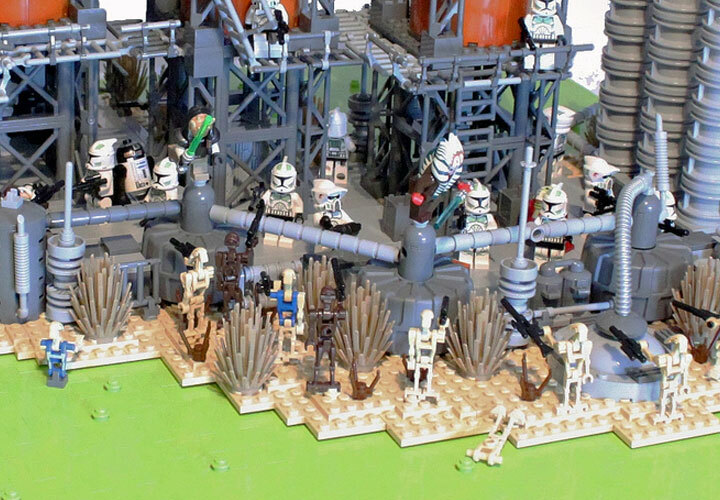 Star Wars: Clone Wars is an interesting series, that doesn’t inspire as many MOC builds as the other Star Wars themes. This scene jumps out at you for its excellent use of color. The gooey green looking toxic water, and the tall dangerous looking red tanks. It all has a wonderfully industrious feel to it. A new movie is on its way based on the Ender’s Game novel by Orson Scott Card. Most of the scenes in the upcoming film look like they have been exaggerated based on what is written in the novel. While this could be great for the film, one major difference is the Battle Room. It always seemed like an enclosed room, that is pretty nondescript, filled with stars and full of teams of students trying to freeze each other. Best of all it is located in the center of the Battle School space station, where gravity is at a minimum. A great example of this is in Battle Room Gymnasium, which gets a lot of the details right for a build that is not technically a recreation of the Battle Room from Ender’s Game (just influenced from it). From the stars (black squares) to the enemy gate. And, best of all the directionless feeling that fighting in space has. Remember the enemy’s gate is down. Battle Room Gymnasium is built by Bricko and can be viewed over at Flickr. Helm’s Deep. For most, it is probably the most iconic scene from J.R.R. Tolkien’s The Lord of the Rings . People have been creating all sorts of stuff based off of this legendary battle. Even I was creating Lego scenes and doodling Helm’s Deep throughout Middle School. Who knew that it would be Peter Jackson who would achieve everyones dream when he created his version for film. 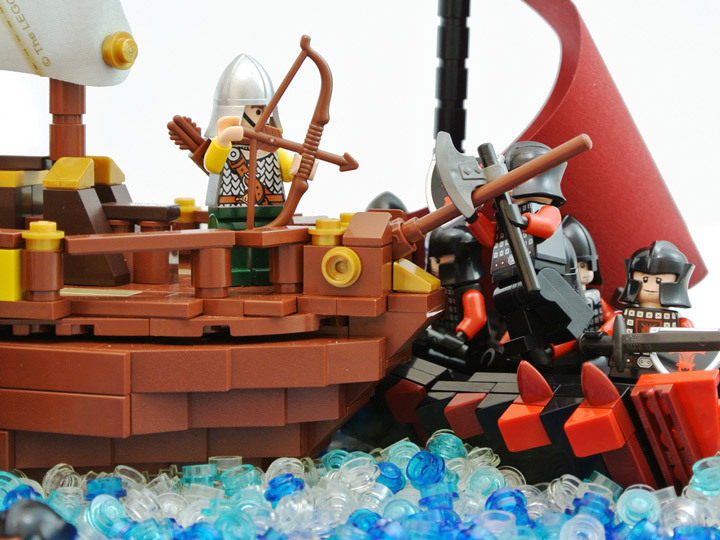 When Lego announced that they were getting the Lord of the Rings license, the first question was whether or not they would do their own version of Helm’s Deep. Lego did not disappoint. 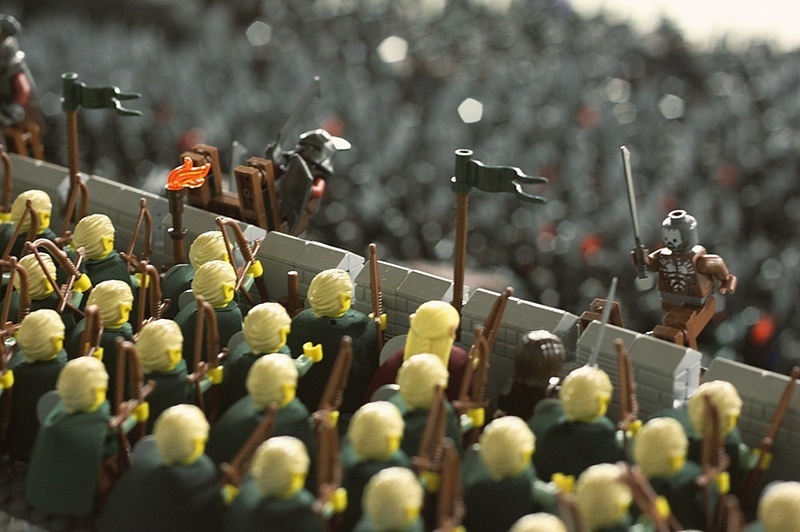 In the first wave for the theme they released the awesome The Lord of the Rings: The Battle of Helm’s Deep 9474 . But for some, it still wasn’t enough. 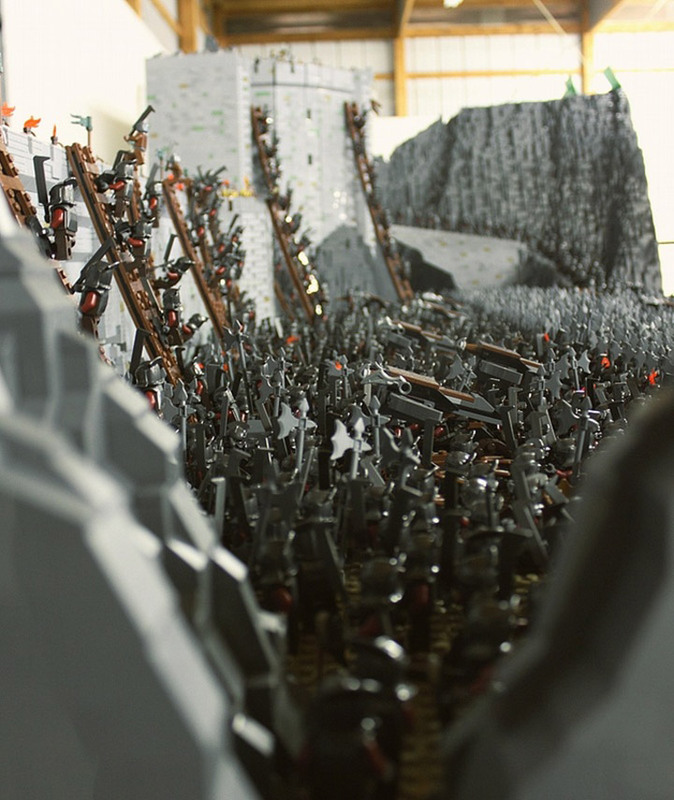 GOEL KIM uploaded these photos of Helm’s Deep, created by Rich-K & Big J. This MOC is truly impressive. 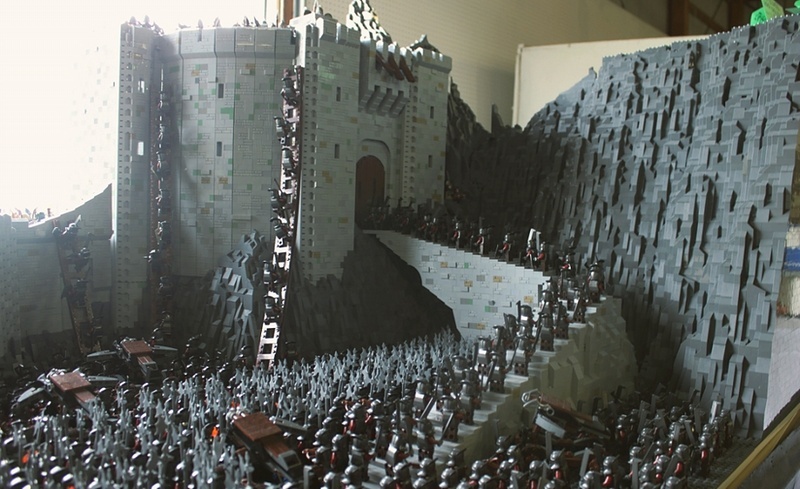 With over 150,000 bricks and 1,700 minifigs this has to be one of the largest LOTR builds out there. The Battle of the Hornburg is only 90% complete. With a massive tower, and more detailing to add. 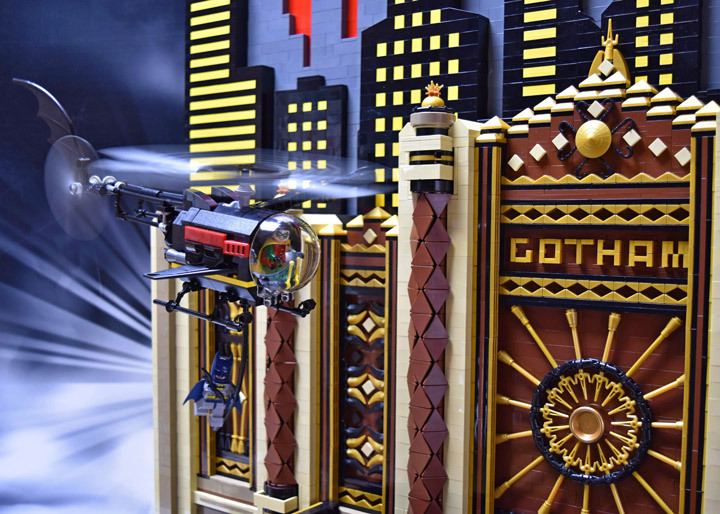 There are even more photos at MOCPages. 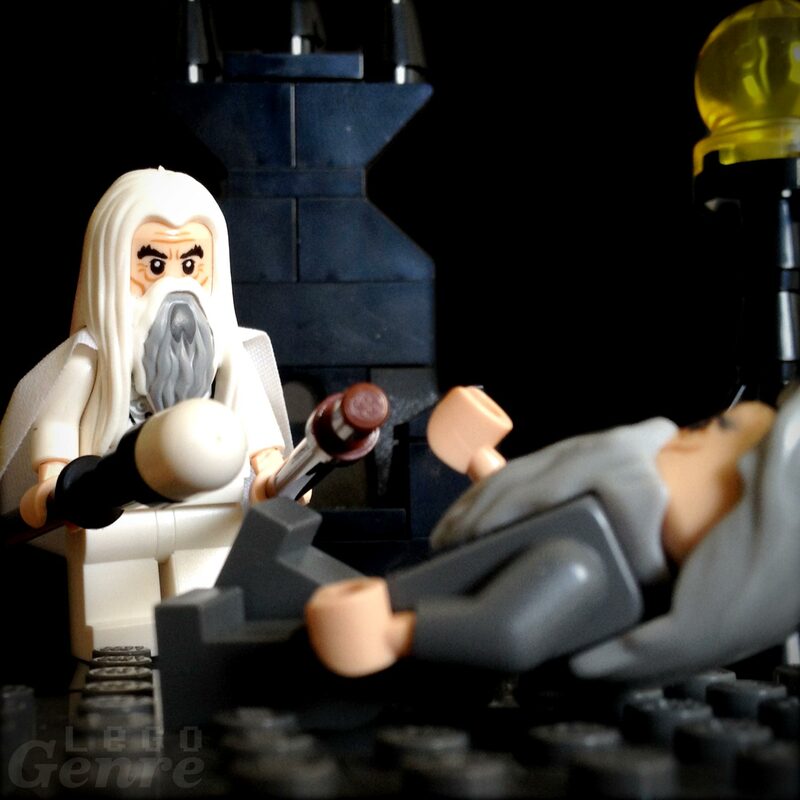 It’s not hard to imagine Théoden leading a final charge at dawn, and Gandalf arriving just in time to save the day. 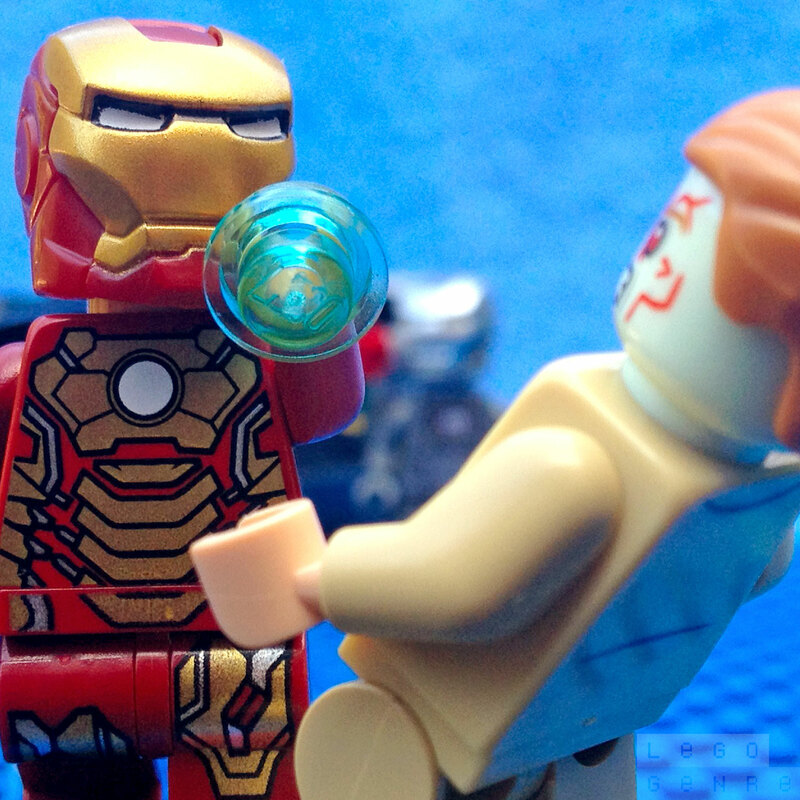 Iron Man VS. Aldrich Killian.